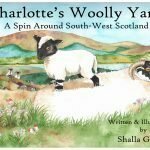 illustration from Big Bill’s Beltie Bairns. 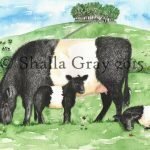 Full colour on high quality paper. 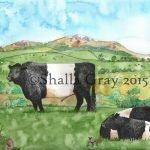 Category: Uncategorized Tags: Belted galloway, Beltie, new print. 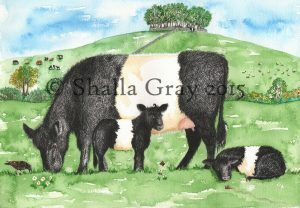 Big Bill’s Beltie Bairns by Jayne Baldwin. Be the first to review “Beltie Bairns – A3 High Quality Print” Click here to cancel reply.